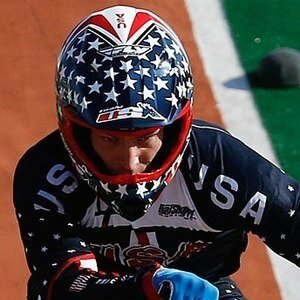 Professional BMX rider who became the first American to win an Olympic gold at the 2016 Summer Olympics in the men's BMX event. He previously represented the United States at the 2012 Olympic Games, where he finished in 7th. He was that year's USA Cycling BMX national champion. He started riding bicycles when he was six years old and was the 2011 Golden Crank Rookie of the Year. He attended the University of Nevada, Las Vegas to study business. He won gold at the 2011 Pan American Games. He was born to parents Michael and Lisa Fields in Plano, Texas. He competed against Liam Phillips at the 2012 Olympic Games.